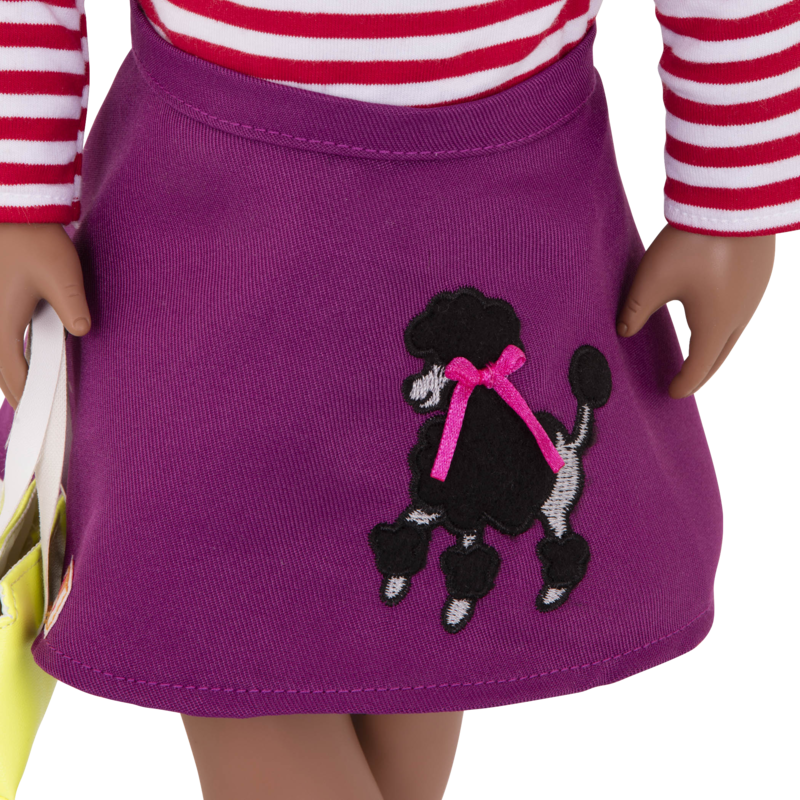 Walk on the fun side of life with this 18-inch retro doll in a poodle skirt! Ready to rock in my favorite poodle skirt! 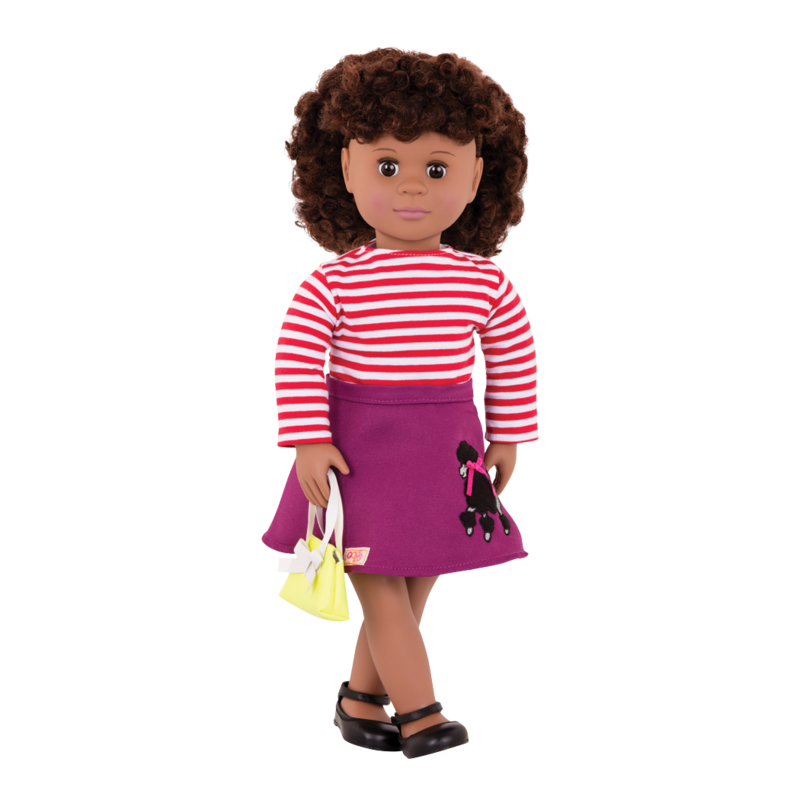 Put a skip in your step with Cecee, the beautiful 18-inch Retro Doll from Our Generation! Let’s take this poodle skirt out for a walk! Cecee has long curly brown hair with bangs and brown eyes. 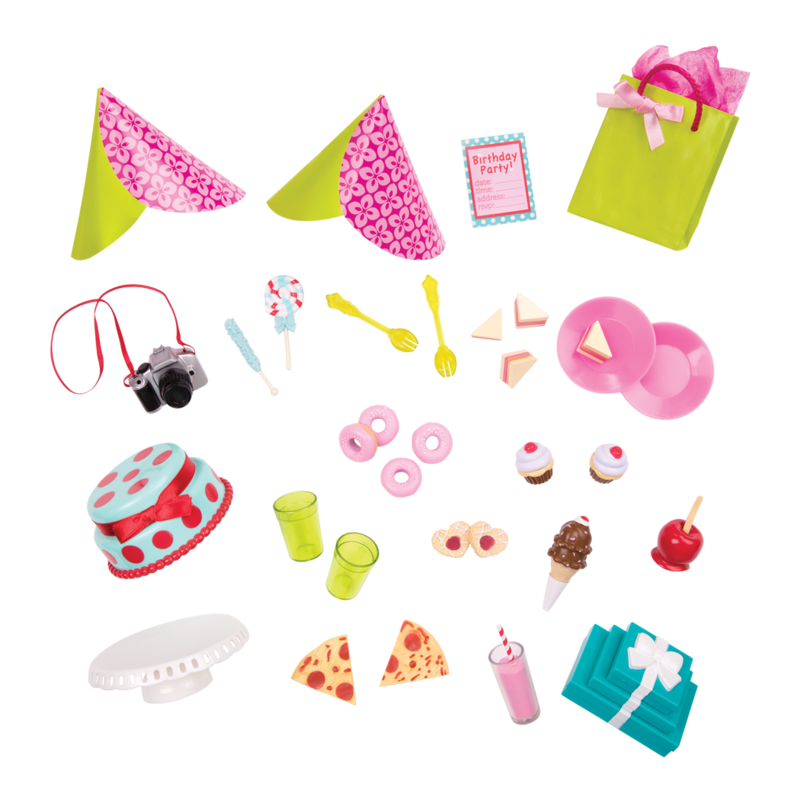 She wears a retro-style outfit that’s perfect for a sock hop or a fun night with friends at the retro diner! 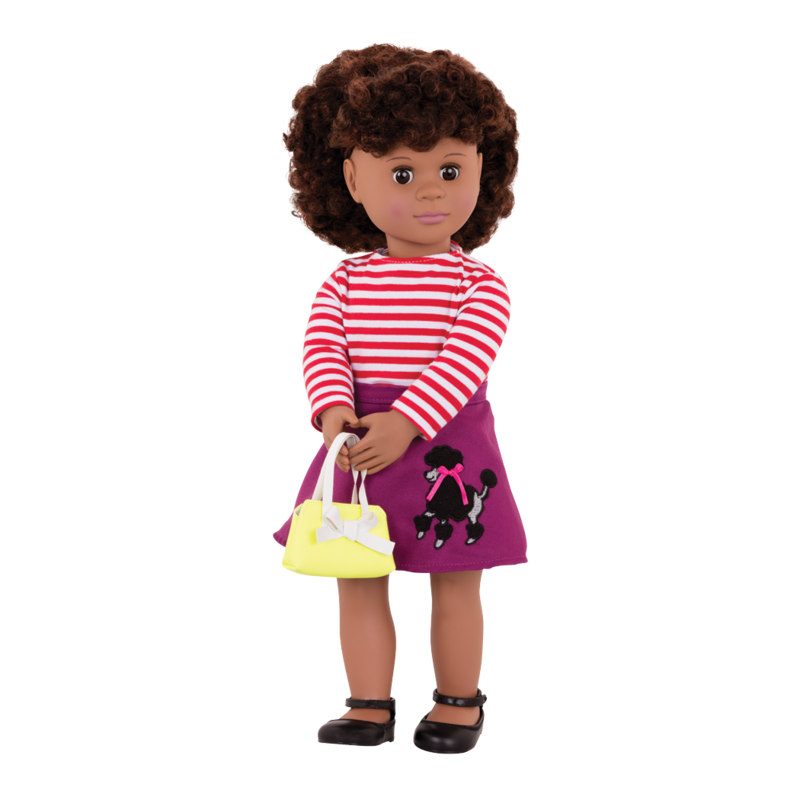 Her outfit includes a red and white striped long-sleeve top, a purple A-line poodle skirt, a yellow purse with a bow, and black shoes with a strap. 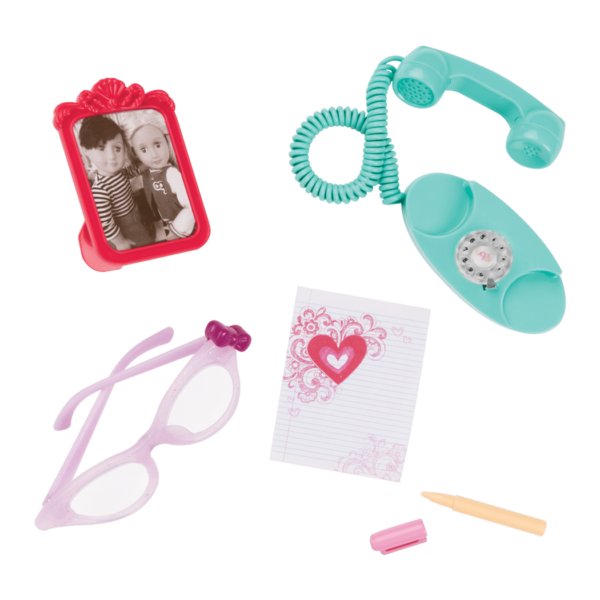 Cecee comes wearing a great retro outfit, but there are so many more to choose from! Check out all of the great retro outfits from Our Generation, like the Tennis Togs outfit, so Cecee will be ready to hit the courts for a match! Cecee loves to dance to the great tunes with her friends at the Bite to Eat Retro Diner! 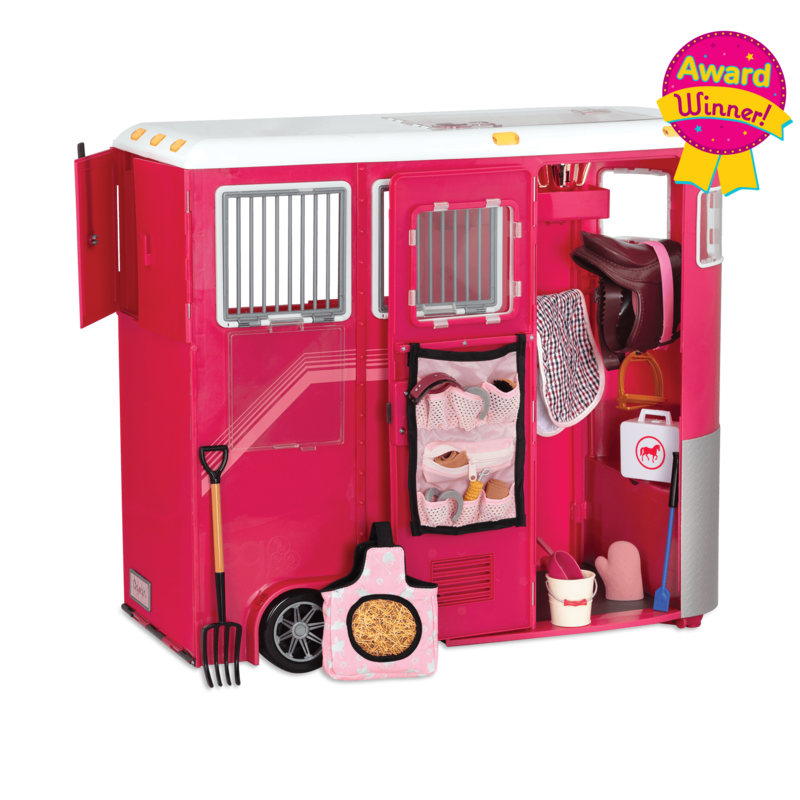 It has a real jukebox for dolls and lots of great accessories! Sometimes it’s fun to just go for a cruise with friends! Check out the In the Driver’s Seat Retro Cruiser, a retro-style convertible car with all kinds of great features, like working lights and BluetoothTM radio! Cecee arrives with her hair pulled back in a ponytail, but you can style her hair in a lot of different ways! 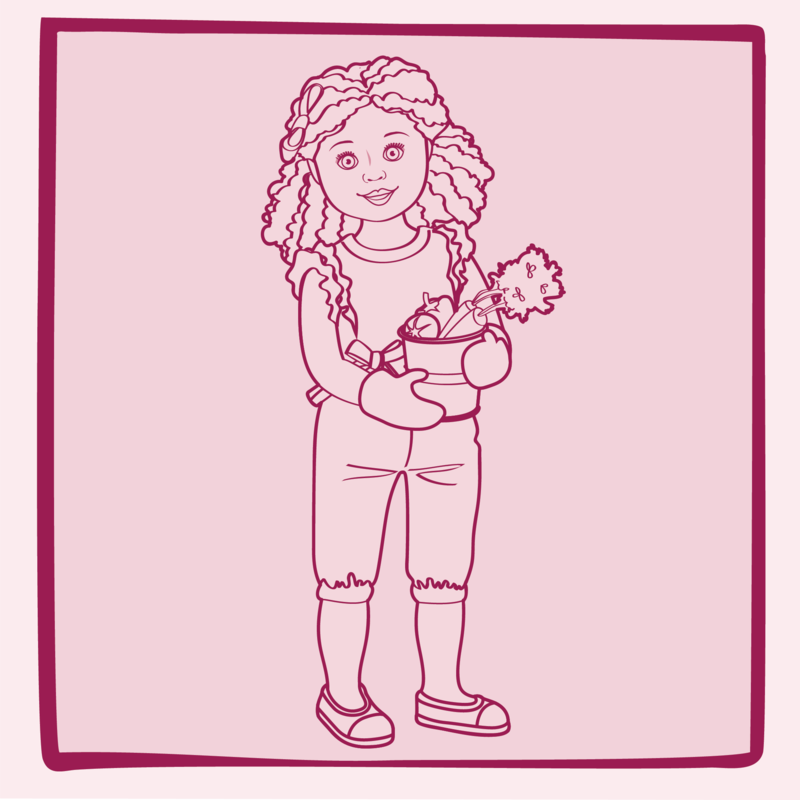 For dolls like Cecee with very curly hair, we recommend using a wide-tooth, flexible comb and always working with very small sections at a time.